For every 100 men in leadership positions at the managerial level and above globally, there are fewer than 40 women in positions of a similar level. In Asia Pacific, the ratio falls to around 25 women for every 100 men. 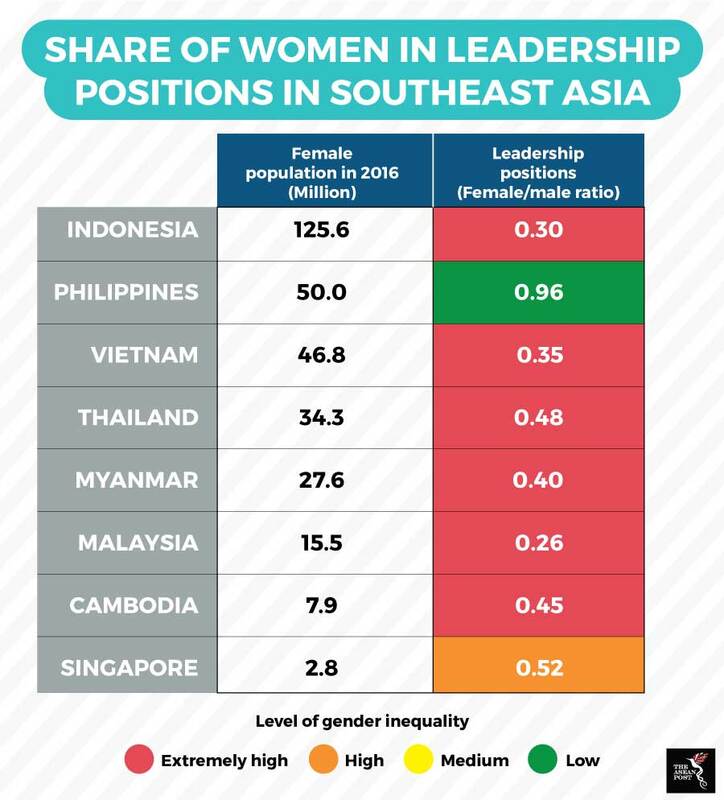 While the average ratio of women to men in leadership positions in the Southeast Asian region is at 46 to 100, overall, the level of women in leadership positions is low throughout the region, with the exception of the Philippines. 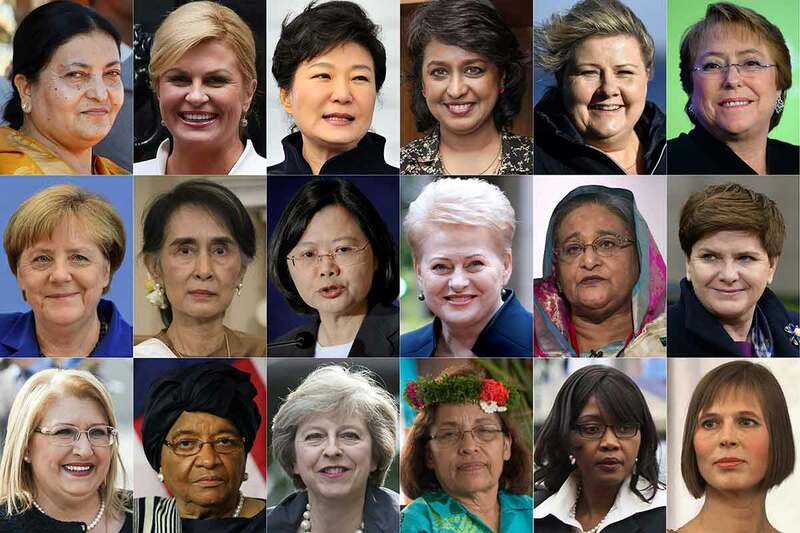 Singapore, with its 52 women to every 100 men in leadership positions, is the only country in the region categorised as having a high level of gender inequality in leadership positions. The regional best, the Philippines, also outperforms most countries globally at 96 women in leadership positions to every 100 men at a similar level. According to Dr Micheal Daniels, Assistant Professor at the Canadian University of British Columbia, Asian countries can emulate the Philippines’ model for nurturing gender equality through actions taken by governmental and regulatory players, businesses and individual leadership. Daniels, in his article published by the Human Capital Leadership Institute, said that at the government level, the Philippines displayed progressive policymaking for gender equality in the form of a quota mandate for women in government jobs, as well as empowering the state to take measures to encourage gender diversity in the private sector. These are further supported by an enabling environment for women to succeed at work in a traditional Asian family set-up created through offering of flexible working hours and family-support programmes like onsite day care, as well as other women-focused skill-building programmes, mentorship programmes and quotas in senior positions.